XONE:3D delivers the routing and features to manage a wide range of applications. 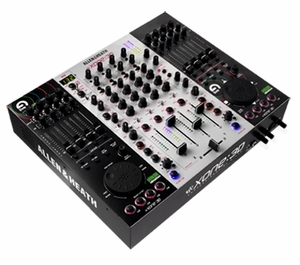 Among the features is an integrated analog mixer with four channels of turntable and line inputs, as well as a fully functional MIDI control surface for Windows 2000 and XP based software titles such as Ableton Live and Native Instruments Traktor. A 24-bit USB output enables direct integration to a PC without additional hardware and the sample rate can be set to either 44.1kHz or 48kHz. The XONE:3D features powerful tools for DJ manipulation during sets. Each channel features a three-band EQ with kill. Two analog VCF filters provide low-pass, band-pass, high-pass, resonance frequency, and an assignable LFO with depth control. Two effects returns provide routing from external effects processors and Sound Card outputs provide assignable "bus" style output routing. The XONE:3D is a versatile, all-in-one solution for any digital DJ, producer and analog DJ in need of a high quality mixer with flexible integration to Windows based PCs.